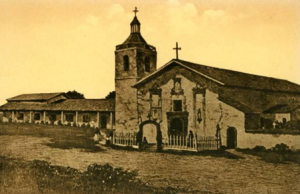 Mission Nuestra Señora de la Soledad, was founded thirteenth in the chain of missions, in 1791. Located in a lonely, desolated site in the Salinas Valley, the mission survived under very difficult weather conditions. Mission Nuestra Senora de la Soledad was founded October 9th, 1791 by Father Fermin Lasuén and named Our Lade of Solitude. It is thirteenth in the chain of the missions. In 1797 the first church was completed and enlarged in 1805. 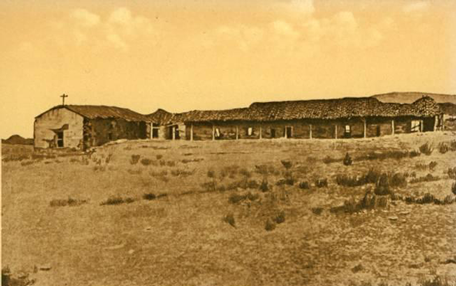 Located in a lonely, desolated site in the Salinas Valley, the mission survived under very difficult weather conditions. Besides that, the area was either damaged by floods, whipped by non-stop winds or made to suffer through very dry periods. Despite all these adverse conditions, Nuestra Senora de la Soledad became a very prosperous mission. This was due almost completely to the fertile land in the valley. Agricultural production was high as well as livestock numbers. Nonetheless, the period of prosperity was fairly short and misfortune settled in on Mission Soledad. Many Indians died from disease, numerous floods wiped out the mission buildings and one by one the leaders died. The church collapsed in 1831 and it was secularized in 1841. It was sold in 1846 by the Mexican Government for $800 and returned to the church in 1859. The ruins of the mission sat untouched for over one hundred years until 1954, when the Native Daughters of the Golden West started a restoration project for the mission and created a small museum. In 1963 the Padres wing was restored and, a year later, the old chapel was reestablished. Today, the former lonely place of desolation has become a charming oasis.